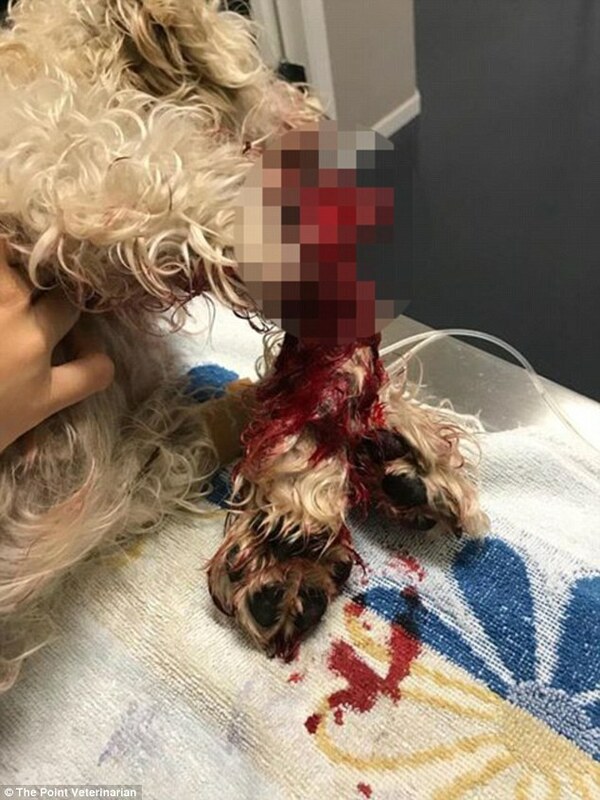 Dogs Bite Decatur Al: GOLD COAST, QUEENSLAND AU - LYNETTE JOHNSON, 71, HAS HAD HER SECOND BELOVED PET ATTACKED BY VICIOUS DOGS ..HER FIRST DOG WAS 12-YEARS WHEN IT WAS MAULED AND HAD TO BE PUT DOWN ..THIS TIME HER SWEET LITTLE KYLA HAD HER LEG BITTEN OFF BY DOGS FROM THE SAME PROPERTY! 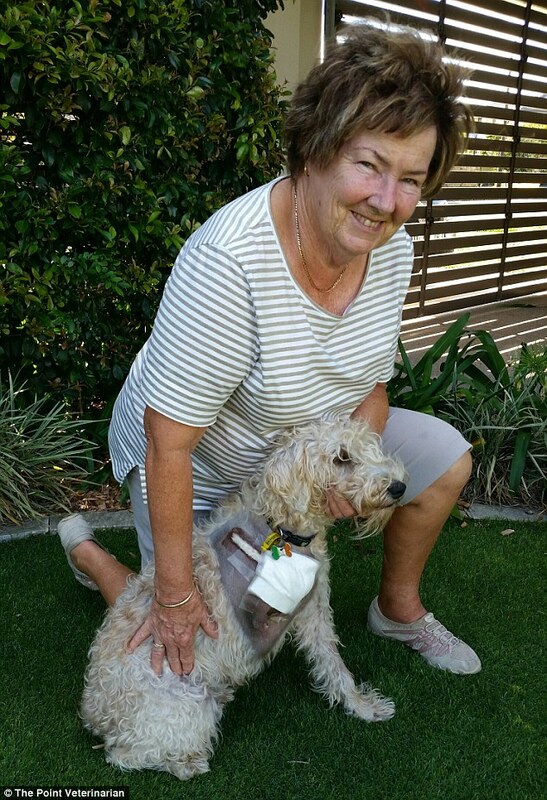 GOLD COAST, QUEENSLAND AU - LYNETTE JOHNSON, 71, HAS HAD HER SECOND BELOVED PET ATTACKED BY VICIOUS DOGS ..HER FIRST DOG WAS 12-YEARS WHEN IT WAS MAULED AND HAD TO BE PUT DOWN ..THIS TIME HER SWEET LITTLE KYLA HAD HER LEG BITTEN OFF BY DOGS FROM THE SAME PROPERTY! A Gold Coast Woman has been left petrified after her pet terrier had its leg ripped off by another dog. This is the second time Lynette Johnson, 71, has had one of her dogs attacked on their walk home. The first time it happened she had to get her 12-year-old terrier put down. Both of the vicious dogs are alleged to come from the same Oxlety Drive property and this latest attack has the small Paradise Point community up in arms. This week as history repeated itself, Ms Johnson's 13-month-old terrier Kyla lost her leg in the attack but survived. They were walking back from Jabiru Park around 7:15am when a dog ran up and grabbed Kyla, ripping her leg off. "It came out of nowhere, flew at her and jumped straight on top and bit her leg off. Just ripped it straight off," she told the Daily Mail Australia. It was just hanging by the muscle. She's screaming and I'm crying. A lady who was in a car came to help and as soon as the dog saw the car it just ran off. "I carried her home and she had the whole thing amputated up to the shoulder." Kyla was taken to the Paradise Point vet where they amputated her leg. The attack cost Ms Johnson $2,500 and she is now committed to bringing justice. She started a petition to get the vicious dog euthanized and has already got 75 signatures. At the Paradise Point and Northern Districts Progress Association meeting last night the 3 dogs that live at the property were discussed with local council members. "I went and took Kyla along and the neighborhood went and there was a lot of discussion about the dogs. "Cameron Caldwell (a local Councilor) was there and he said that it can't go on, that it's just horrific." Ms Johnson said other locals were terrified of the 3 dogs that live at the property and that they were often allowed to roam free around the neighborhood. While she hadn't spoken to the owners of the property, she said thy have denied ownership of the dogs and any involvement in the attack. Ms Johnson said despite the traumatic attack, Kyla was recovering well. "She's better than me. She's dealing far better than I am." She's hopping around and the vet said she eventually won't remember she had a forth leg." "But to me it's absolutely horrendous. Everything has changed for her." The Gold Coast Council is investigating the incident.